It happens when you least expect it. You arrive home late at night, fumbling for your keys only to realize you left them inside the house. As you check the door, you realize it’s locked and you can’t get in. Now is not the time to try to figure out who to call for help. You should have a locksmith in your list of contacts for moments just like this regarding residential locksmith services. If you’re a landlord with several rental units, it will be just as important to have a locksmith you can call on when your tenant has locked themselves out of their home or when you need to change out the locks for a new tenant moving in. You know emergencies only happen when it’s most inconvenient. 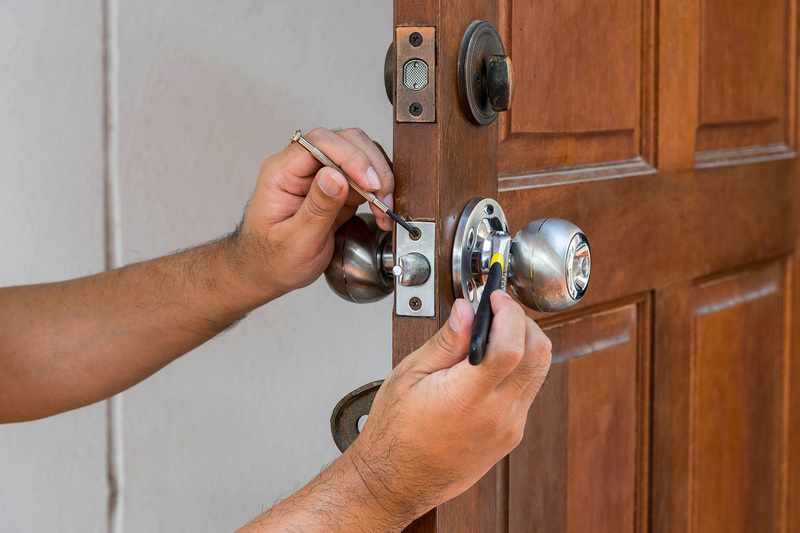 You want to find residential locksmith services that provides service 24 hours a day for those late-night calls. However, it means more than just a sign that says 24/7. People want to know that person will be at your location in a reasonable timeframe. You can check out reviews online or ask family and friends for recommendations. Nobody wants to be stuck standing outside of your apartment or car for longer than necessary in the middle of the night. When you call for help, ask how long it will be before they arrive. Find out if the locksmith you choose is bonded and insured. They should be willing to show you the documents as proof. Most reputable locksmiths are insured, but you shouldn’t assume. When a locksmith is accessing your car, home or business, they could damage the lock or other property. If they are insured, you can be confident that they will pay for the repairs necessary. You’ll want to know the price of calling a locksmith before an emergency happens. This is one reason you should contact any companies that service your area beforehand. Don’t forget to ask about extra fees for after-hours. If you have rental properties, a locksmith may offer a discount for multiple calls. If they change out your locks with move-outs, you may get a reduced price. It’s best to find out about pricing before an emergency arises. Some companies will take advantage of the situation and overcharge you. Most states have a state organization for locksmiths. You can contact them to find out about specific locksmiths in your area or to get recommendations. Don’t forget to contact the Better Business Bureau. They have records of all complaints received on a company as well as information if they were resolved. When you’re locked out of your home or business, you need to have someone you can count on. Don’t wait until an emergency happens to determine who will be your locksmith. Start your search now just like you would for any service, and find a locksmith who is reputable, available and affordable for when you need them.